It will take place 6 months after the event of the Manga. The website Natalie, a Japanese Entertainment News, has reveales the new Teaser for the new Movie of Yu-Gi-Oh!, which will have the surname of: The Dark Side of Dimensions. Kazuki Takahashi, the creator, its in charge of the script and character designs. 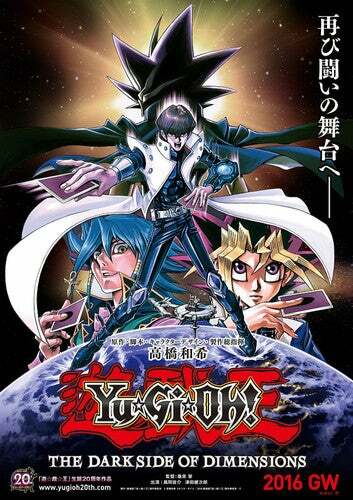 In the past Yami Yūgi and Kaiba have clashed many times!! Yami Yūgi, who resides in Yūgi Mutō’s body, and Kaiba will have a duel that bets their prides and accepts each other’s mutual experience. Here it is the new promo of Vinland Saga!